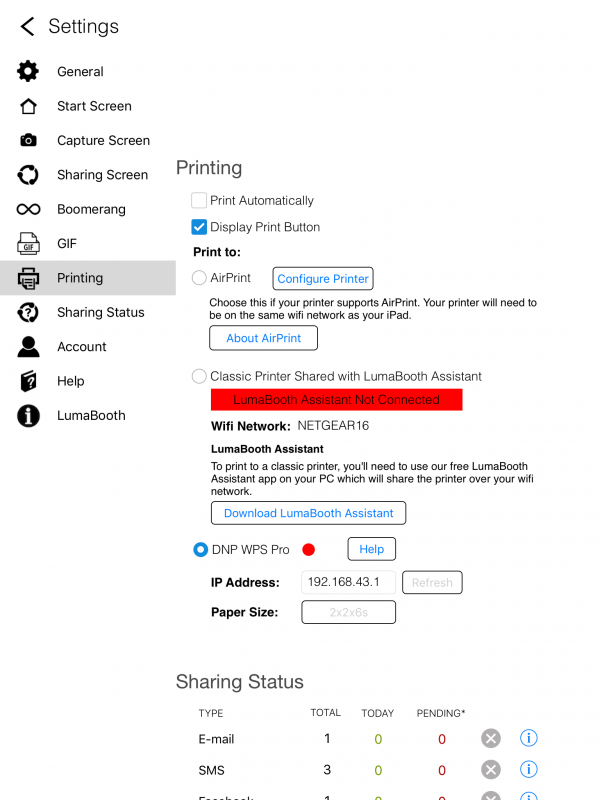 Print to the LumaBooth Assistant on Mac from LumaBooth using WiFi, ethernet adapter, or lightning cable. Download LumaBooth Assistant for Mac. 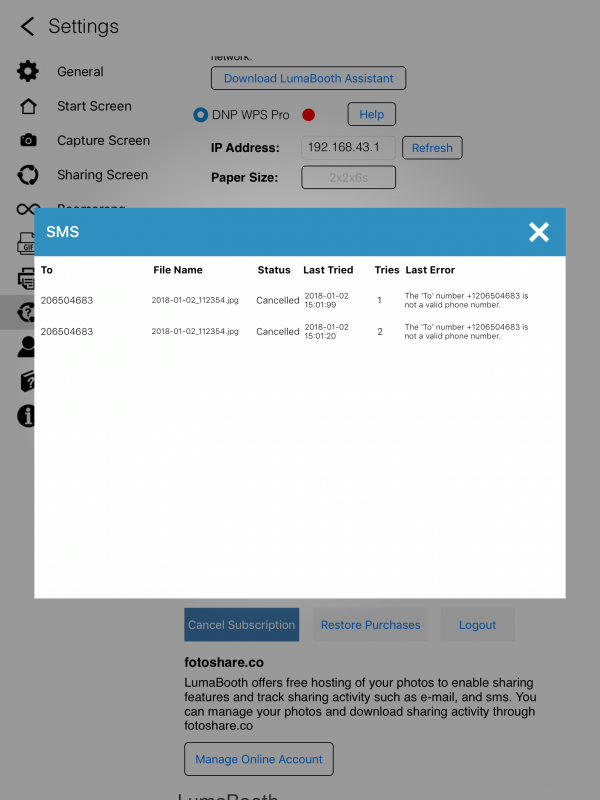 Videos recorded with LumaBooth will now appear on the fotoShare app. Choose the number of photos per GIF when using a GIF only session. No longer determined by the number of photos in the print layout. Settings > GIF. Choose a custom color for icons and text on the capture screen. Rotate text in the print layout by using the angle option at the bottom of the screen. Fix for videos sometimes not saving to photo roll when using virtual attendant. Fix for emails not sending to @x.realtor and other new domain extensions. Create an interactive booth experience using the new Virtual Attendant which adds the option to play pre-loaded and custom videos/audio at different points of the guest’s session. Guests can now also record video. You have the option to customize the final video by adding a pre-roll, post-roll, and overlay which are automatically added to the guests’ video. The ability to share to a Facebook Wall has been removed due to changes in Facebook’s privacy policies. Fix for GIF overlay stretching. Fix for exported dslrBooth templates showing white when imported into LumaBooth. Fix for survey answers and questions erasing when number of questions was greater than five. 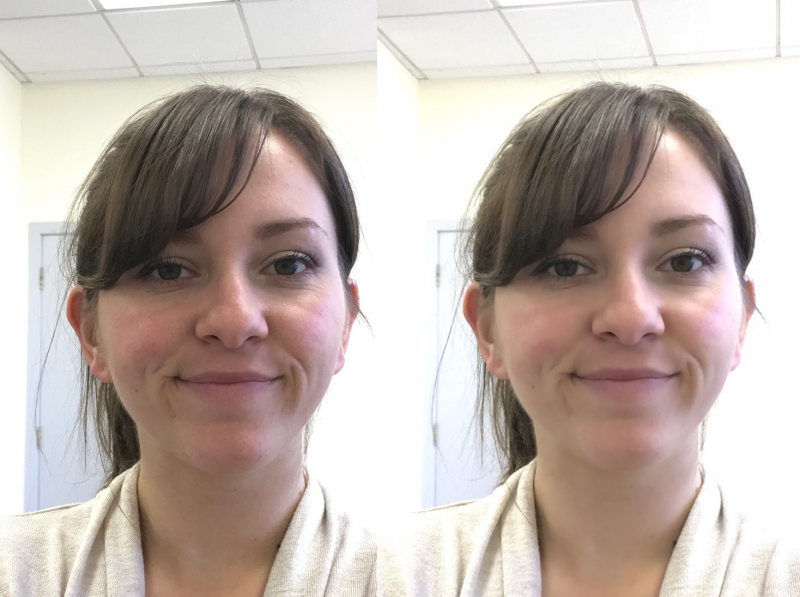 Use the beauty filter to smooth skin and remove blemishes. Turn it on under Settings and it’ll work in the background on all captured photos. Let guests view and share photos, prints and GIFs on another iPad using our companion fotoShare iPad app. Option to speed up green screen processing. Improved stability when printing to DNP WPS Pro. Survey function now available for GIFs and boomerangs. Speed up GIF and boomerang processing time. Capture photos at the highest available camera resolution when running iOS 10 or iOS 11. Set the width, height and rotation of elements manually in the print layout editor. Located at the bottom of the print layout screen. Added option for annual subscription at a discounted rate in addition to existing monthly subscription. Fix for email deliverability issues to web.de and gmx.de email addresses. Modify Hide all text on start screen setting to also hide background graphics behind text. Fix for iOS 11 devices that support HEIF format. Add survey questions for guests to answer after their photos are taken. 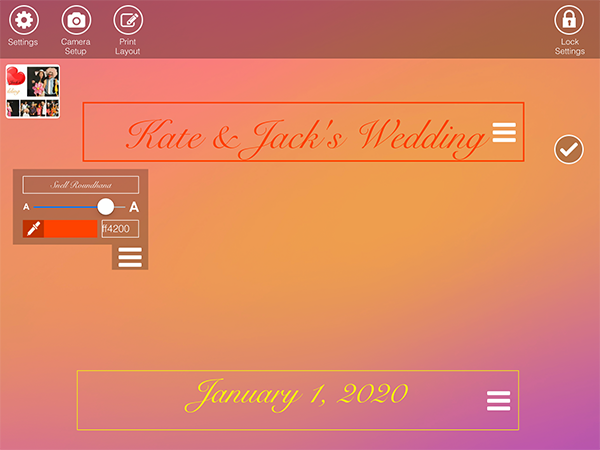 In the print layout screen you can add the guests answers to the template. mp4 files will now be a minimum of 3 seconds to allow for posting to social media such as Instagram and Facebook. Import and Export print layouts. 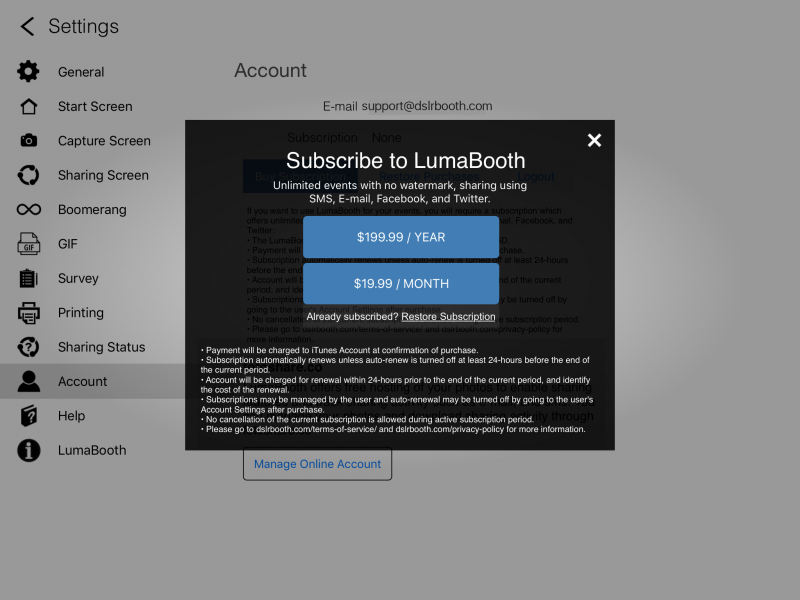 Templates you have created in another program or purchased from our store can now be used in LumaBooth. 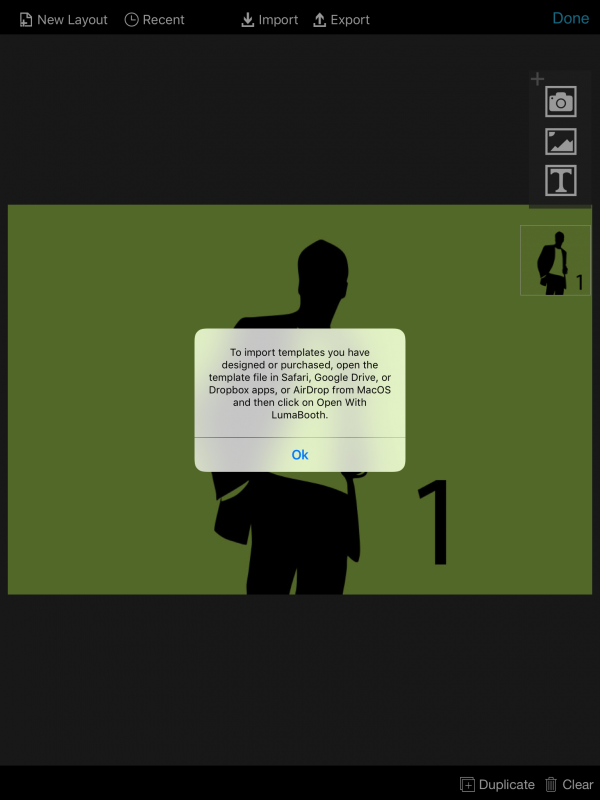 You can also export templates you have created in LumaBooth. 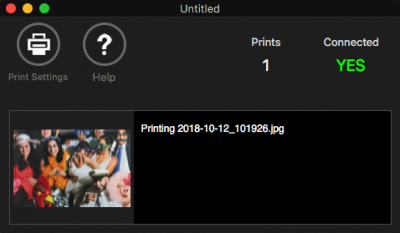 Print directly to DNP printers using DNP’s WPS Pro print server. Add setting to remove text on the start screen. 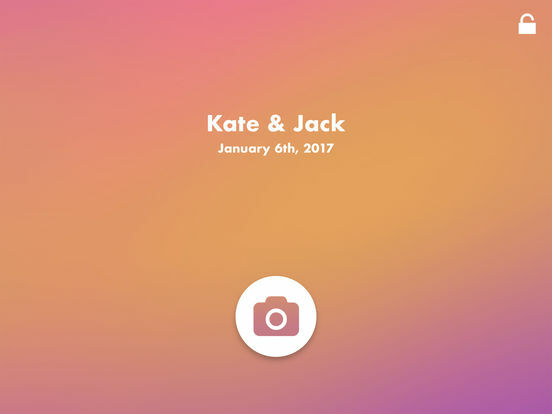 This allows for a blank start screen without the text box appearing. Green Screen backgrounds and photos no longer stretch when uploaded. Optionally start session using bluetooth remotes. See detailed sharing status for each share by clicking on info icon under Sharing Status. Better handling of shares to invalid phone numbers by marking them as cancelled. Shares to valid phone numbers will still be sent. 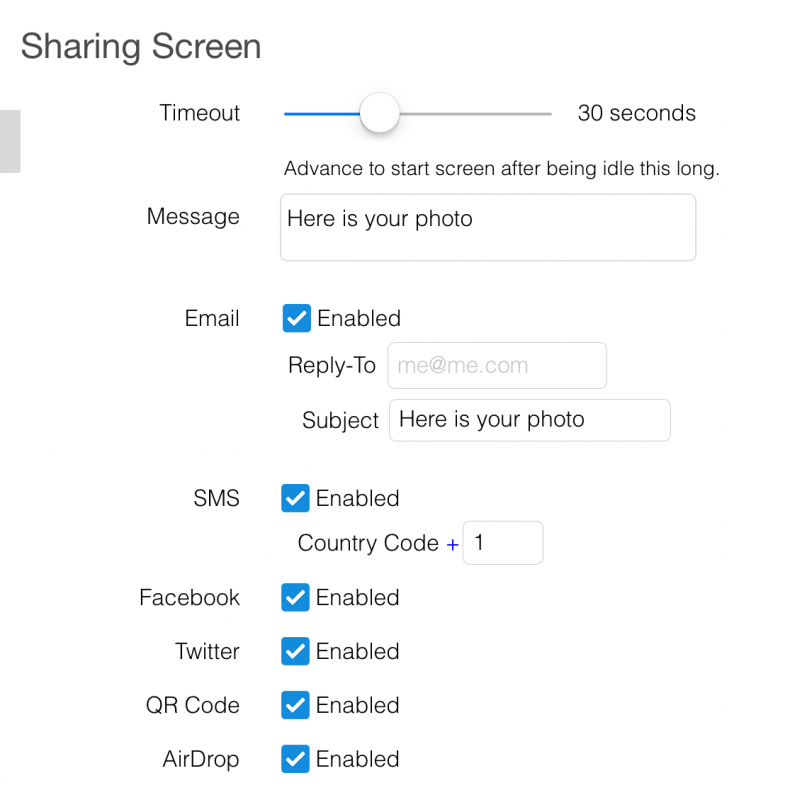 Add option to share to AirDrop between Apple devices. Fix sharing of boomerang to Twitter. 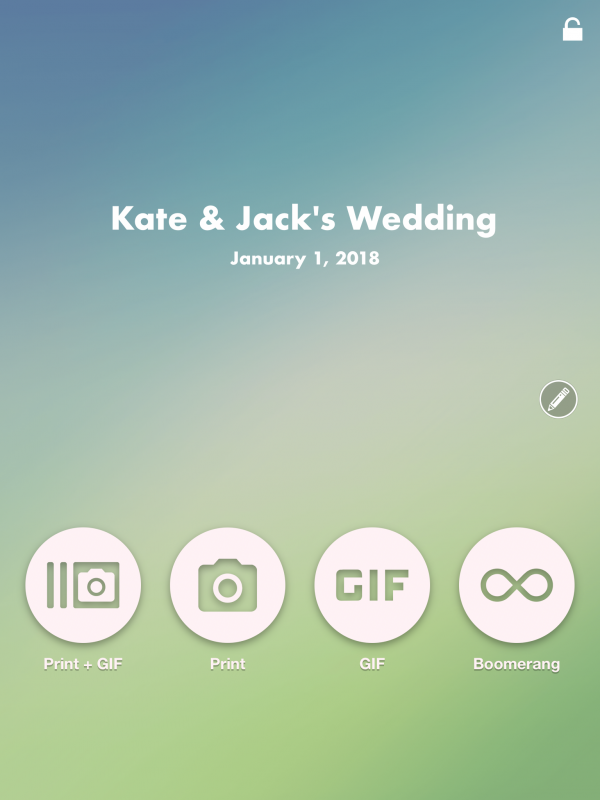 Capture and create 1 second looping boomerang GIFs instead of the usual prints and GIFs. 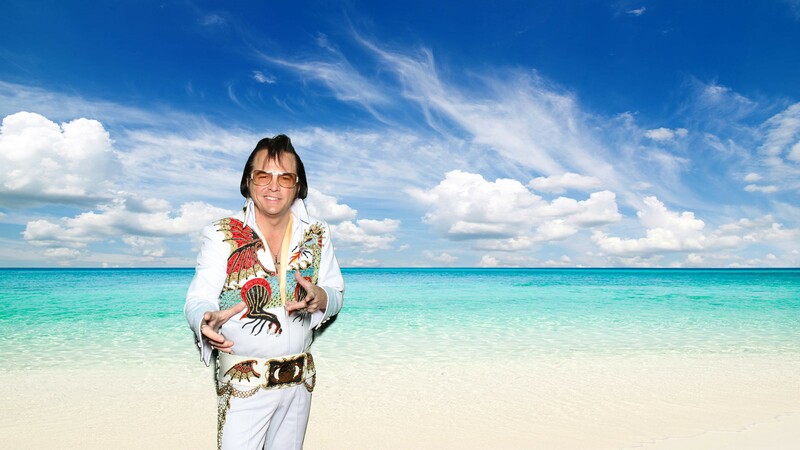 Replace a green or blue background with a custom background. 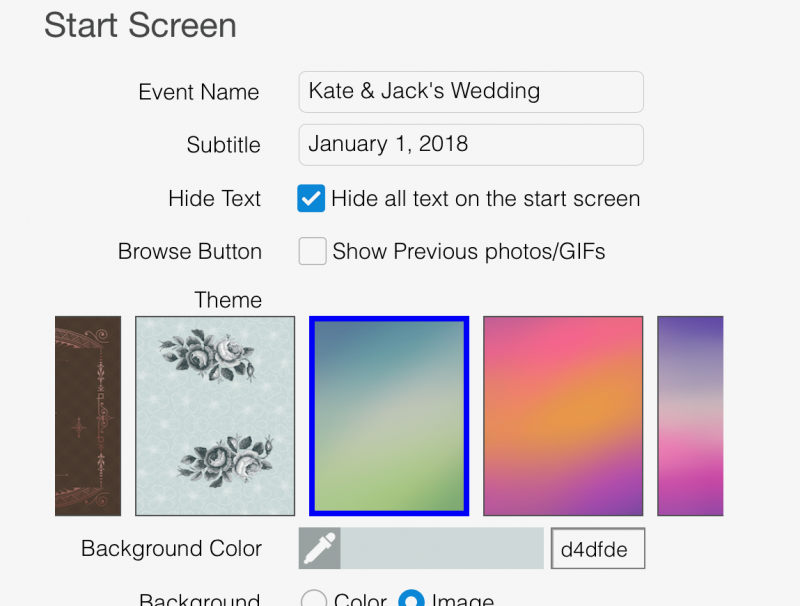 Choose to automatically cycle through several backgrounds or have your guests choose one from one of the backgrounds uploaded. 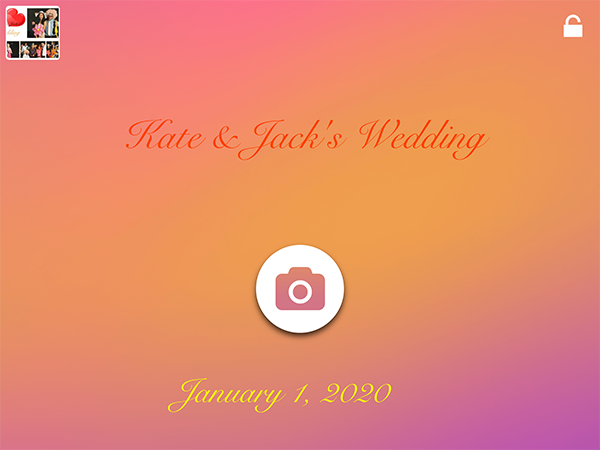 Add option to display a disclaimer to guests where they have to accept to continue the photo booth session. If guest chooses not to accept disclaimer, delete all the photos for that session and go back to the start screen. Add option to turn off viewing previous prints and GIFs from the start screen. Previously taken photos and gifs will now appear in the upper left hand corner of the screen. Guests can click on the photos to share them. Have more control over the look of your start screen. Click on the checkmark to edit the color, font and size of your text. Move the text to your desired place on the screen. Transparent images now allow you to click on photos and text behind them, allowing for no interference with the images. Mp4s and GIFs will now appear right side up when iPad is upside down.